Guardianship cases can range from simple and straightforward to complex and highly contested. An experienced attorney can alleviate the strain associated with guardianship cases. At The Law Office of Dawn R. Underhill, we offer experienced, compassionate and thorough guidance to families in guardianship proceedings involving minor children, disabled adults and elderly persons. 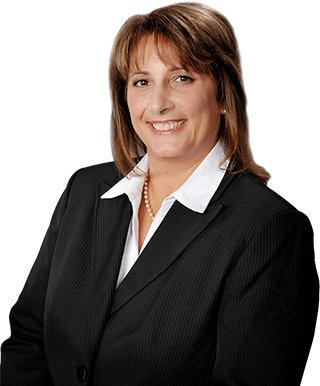 When clients meet with Joliet guardianship lawyer Dawn R. Underhill, they learn firsthand our law firm’s dedication to providing personal and attentive legal counsel. Starting with the initial consultation, we listen to clients as they discuss their situation. This helps us understand the underlying reasons for the guardianship as well as any potential issues that may arise when filing the petition such as if the petition may be contested. The law presumes that individuals aged 18 or older are capable of handling their own affairs. However, there are times when adults may be incapable of managing their own affairs due to mental illness, old age, or disability. There are also situations when a new guardian must be appointed for minor children due to the unfitness or lack of availability of biological parents or due to the death of biological parents. Guardians for disabled adults: Guardianship actions for disabled adults may involve a special needs child who has come of age or an adult who suffers a sudden disabling injury. These situations may require a guardian to be appointed who can manage decisions about their affairs, ensure that proper medical appointments are managed and much more. Appointed guardians care for disabled adults when they are incapable of caring for themselves. Guardians for elderly or incapacitated adults: Proactively designating powers of attorney can often avoid the need for a guardianship for elderly or incapacitated adults. However, when such planning has not occurred, and an individual becomes incapacitated due to Alzheimer’s disease or any other mental deterioration, or simply due to physical deterioration (incapacity) and old age, it may be necessary to seek legal appointment of a guardian to ensure physical, medical and financial affairs are handled for the individual. Guardians for minor children: Biological parents are automatically legal guardians over the children unless and until the court takes action to appoint a nonparent as guardian. Appointment of a new guardian for minor children can be a delicate situation as it may mean that biological parents have suddenly died or that they are incapable of caring for the daily needs of their children due to drug addiction, alcohol dependency, mental illness, abandonment, or any other reasons. Appointment of a legal guardian allows the guardian to step into the role as the legal parent of the children. At The Law Office of Dawn R. Underhill, we represent parties on all sides of guardianship proceedings. We help clients understand the legal effect of the guardianship, explain their rights and guide them through the legal process. Our law firm is also adept at handling contested guardianships and proceedings involving the termination or discharge of a guardianship. For a free consultation with Will County guardianship attorney Dawn R. Underhill, call toll free 877-Law-Dawn (877-529-3296).